Vansdirect has a wide range of new Renault Kangoo ZE vans for sale, available with a choice of cheap van finance options. Vansdirect provides independent and impartial advice, helping you find the right new Renault Kangoo ZE van for your business. 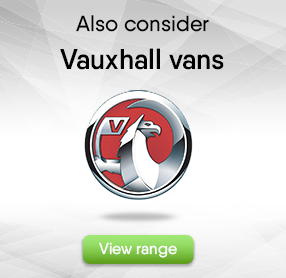 The range includes panel vans and crew vans. Choose from three flexible and affordable finance options for your new Renault Kangoo ZE van; Finance Lease, Contract Hire or Hire Purchase. Why buy your Renault van from Vansdirect? We offer FREE delivery in as little as 5 days, so no long lead times. We offer truly independent advice ensuring you get the best deal for you and your business. If you find a cheaper van elsewhere we will endeavour to beat the price quoted. We must be doing something right - read our reviews. Unwrap an Easter bargain from Vansdirect – New vans from £125pm! 68-plate van clearance – everything must go!